Given the sharp rise and fall the timings would suggest that the Earth travelled some 315,000 miles while in the debris stream from the comet. It will be interesting to see if this figure changes next year. 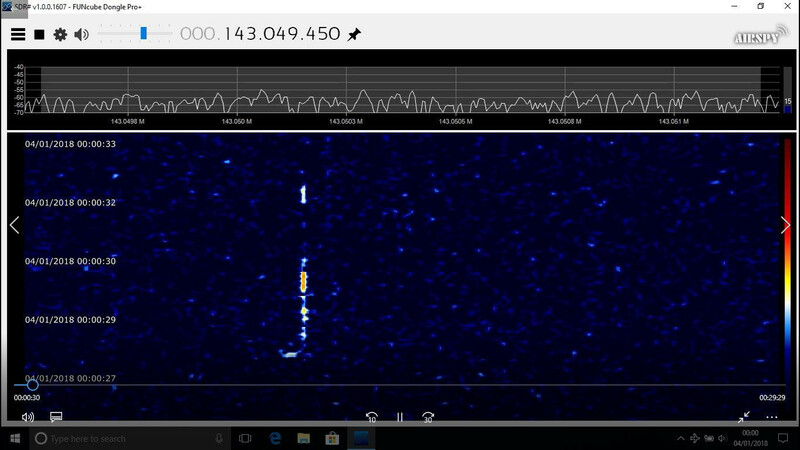 Each bar in the chart is the meteor count for 10 minutes. 824 recorded for the 24 hours before and 1103 for the main day. A slightly belated report on this trip!! We had talked about a summer visit for some time, and on Wednesday 6th June an intrepid band set off for Knighton. I had called ahead the week before and booked a 2pm with Mrs Tate. A few of us stopped on the way for lunch at the Horse & Jockey pub in Knighton (highly recommended) before the tour. Nine of us met at the centre and we got booked in by Mrs Tate. Sited in a remote dark sky site at the top of a hill, the working observatory offers outstanding panoramas in all directions, and a clear 360 degree horizon. We had picked a really clear day and the views were magnificent. I recently changed my analysis software and the results and comments are below. The night of the 20th was just an ordinary night with no meteor shower expected. During the evening of Saturday 14th April while commissioning a 150mm refractor some images were taken of M51. 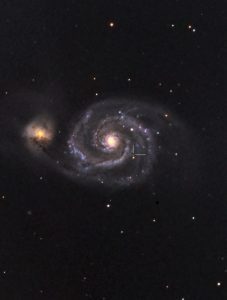 After processing the LRGB images and comparing the final image with stock internet images an object was spotted in our image which did not appear in those downloaded from the net. 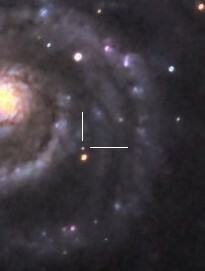 Checking the subs, the mystery object only appeared in the first 120 second luminance image. Searches to see if any asteroids were listed at these coordinates drew a blank. Clearly, the object is not a hot pixel so what is it? One explanation is that its a meteor trail which is head on to the field of view. The first weekend of May gave us the best run of clear skies for months, so we arranged an observation session for Tuesday 8th May at our new observation site in Bobbington. This time we moved to a slightly different area of the site, which gave us a better all-round view of the night sky. The usual ‘It’s on!’ text message was sent out at 5:00 pm, giving details of the session, and when I arrived at the site at 9:30 pm, I was pleased to see people were already there assembling scopes and chatting. Jupiter was rising in the south-east, and from the area of hard-standing where we were setting up, most of the sky was accessible. It was a pleasant, clear, moonless, slightly balmy evening. The sky was still relatively bright at 10:00 pm. Would this impair our search for celestial objects, I wondered. With our Tuesday Trysull observing sessions clouded out for much of the winter, we’ve tried to find an alternative observation site that’s available on other nights of the week. To this end, we visited a new site in Bobbington on Friday 20th April, and I’m pleased to report it was a most successful evening. 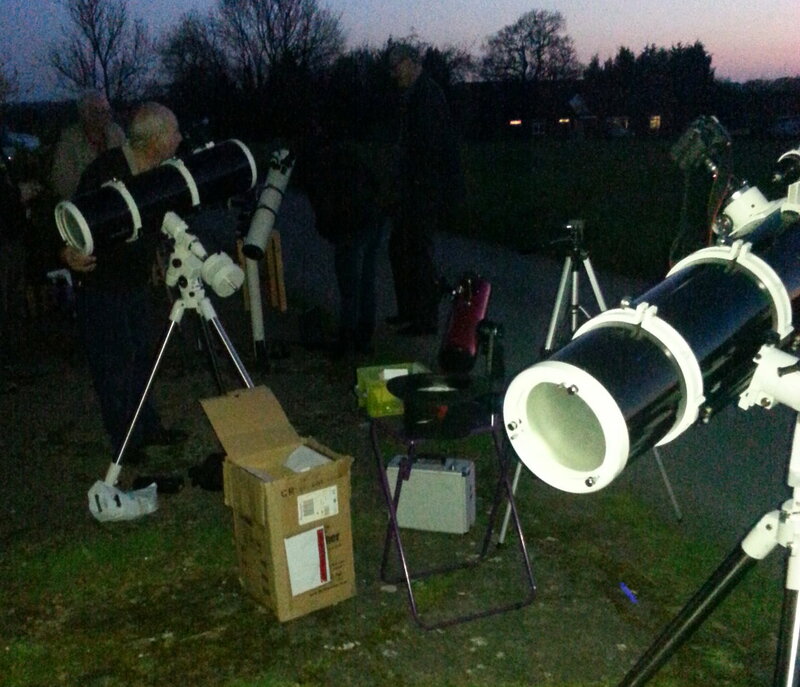 Members started assembling at 8pm, (picture 1), just as the sky was darkening and Venus began shining in the west. There was a five day old Moon also quite high in the west, which made an excellent target for us to align our finder-scopes. After what seemed like years of cloudy skies, we were finally able to hold another society observing session at Trysull on the 13th March. Despite a slight misty haze in the sky, we were lucky enough to see some true celestial wonders once again. 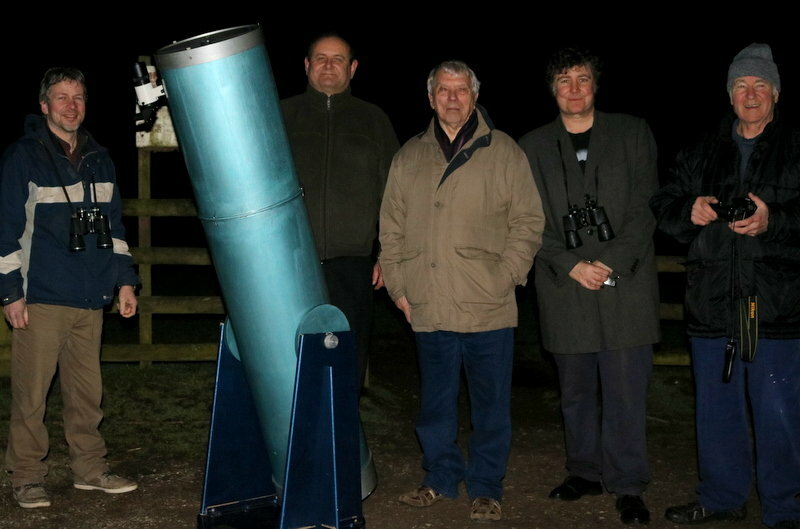 The society’s Tom Collier 12-inch reflecting telescope had been collimated by society member Dave Wilson at a recent Monday Highfields meeting, so we were looking forward to putting the newly aligned optics to the test. 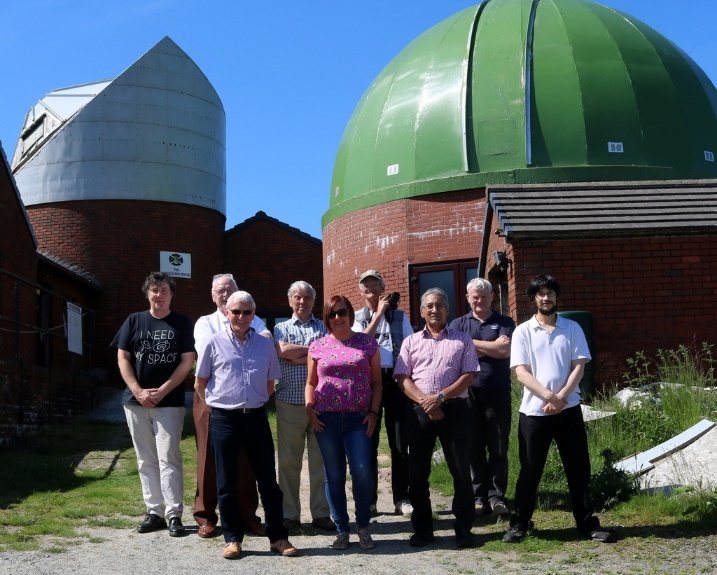 This was the telescope’s second trip to the observing site, although its first visit was scuppered by clouds, (on that occasion, two weeks previously, society members Cath, Linda, Dave, John, Doug and I were forced to abandon thoughts of observing and abscond to the nearby pub). Last week we had to say goodbye to one of our long term members, David Towers, who is moving away from the area. David has been a dedicated member of the society for 14 years, and during that time he has barely missed a meeting! Many of you who were with us when we met at Beckminster will fondly remember David entertaining us on the piano at the start of meetings, as well as his excellent knowledge of amateur radio, and great sense of humour. Behind the scenes, he also gave up his time to help us set up many of the Paul Pope lecture events at St Peter’s, for which we are very grateful. We are sad to see him go, but we wish David all the best for the future.